Like other OpenStack projects, Congress is moving very quickly. Recently, one of the lead developers of Congress summarized some of the performance improvements that have been realized in recent builds of Congress. These performance improvements include things like much faster query performance, massive reductions in data import speeds, and significant reductions in memory overhead. In the first few parts of this series, we discussed the policy problem, we outlined dimensions of the solution space, and we gave a brief overview of the existing OpenStack policy efforts. In this post we do a deep dive into one of the (not yet incubated) OpenStack policy efforts: Congress. Remember that to solve the policy problem, people take ideas in their head about how the data center ought to behave (“policy”) and codify them in a language the computer system can understand. That is, the policy problem is really a programming languages problem. Not surprisingly Congress is, at its core, a policy language plus an implementation of that language. A cloud service gives Congress the ability to see and change the data center’s behavior. The more services hooked up to Congress, the more powerful Congress becomes. Congress was designed to manage any collection of cloud services, regardless of their origin or locality (private or public). It does not matter if the service is provided by OpenStack, CloudStack, AWS, GCE, Cisco, HP, IBM, Red Hat, VMware, etc. It does not matter if the service manages compute, networking, storage, applications, databases, anti-virus, inventory, people, or groups. Congress is vendor and domain agnostic. Congress provides a unified abstraction for all services, which insulates the policy writer from understanding differing data formats, authentication protocols, APIs, and the like. Congress does NOT require any special code to be running on the services it manages; rather, it includes a light-weight adapter for each service that implements the unified interface using the service’s native API. From the policy writer’s point of view, each service is simply a collection of tables. A table is a collection of rows; each row is a collection of columns; each row-column entry stores simple data like strings and integers. When Congress wants to see what is happening in the data center, it reads from those tables. When Congress wants to change what is happening in the data center, it writes to those tables. For example, the Nova compute service is represented as several tables like the servers table below. At the time of writing, there are adapters (which we call “datasource drivers”) for each of the following services, all but one of which are OpenStack. Each adapter is a few hundred lines of code that (i) makes API calls into the service to get information about that service’s behavior; and (ii) translates that information into tables. Just recently we added a domain-specific language (DSL) that automates the translation of that information into tables, given a description of the structure of the information. For more information about connecting cloud services, see the Congress cloud services documentation. A policy describes how a collection of cloud services ought to behave. Every organization’s policy is unique because every organization has different services in its data center. Every organization has different business advantages they are trying to gain via the cloud. Every organization has different regulations that govern it. Every organization is full of people with different ideas about the right way to run the cloud. Congress aims to provide a single policy language that every organization can use to express their high- and low-level policies. Instead of providing a long list of micro-policies that the user can mix-and-match, Congress provides a general purpose policy language for expressing policy: the well-known declarative language Datalog. Datalog is domain-agnostic. It is just as easy to write policy about compute as it is to write policy about networking. It is just as easy to write policy about how compute, networking, storage, group membership, and applications interact with each other. Moreover, Datalog enables policy writers to define abstractions to bridge the gap between low-level infrastructure policy and high-level business policy. Suppose our policy says that all servers should on average have a CPU utilization of at least 20% over a 2 day span. In Datalog we would write the a policy that leverages Nova for compute, Ceilometer for CPU utilization data, and some built-in tables that treat strings as if they were dates. First, we declare the conditions under which there is a policy violation. We do that by writing a rule that says a VM is an error (policy violation) if the conditions shown below are true. We also define a helper table that computes the start and end dates for 2 days before today. Helper tables like two_days_previous are useful because they allow the policy writer to create higher-level concepts that may not exist natively in the cloud services. For example, we can create a helper table that tells us which servers are connected to the Internet—something that requires information from several different places in OpenStack. Or the compute, networking, and storage admins could create the higher-level concept “is-secure” and enable a higher-level manager to write a policy that describes when resources ought to be secured. For more information about writing policy, see the Congress policy documentation. Once we have connected services to Congress and written policy over those services, we’ve given Congress the inputs it needs carry out its core capabilities, which the user is free to mix and match. Monitoring: Congress watches how the other cloud services are behaving, compares that to policy, and flags mismatches (policy violations). Enforcement: Congress acts as a policy authority. A service can propose a change to Congress, and Congress will tell the service whether the change complies with policy or not, thus preventing policy violations before they happen. Congress can also correct some violations after the fact. Auditing: Congress gives users the ability to record the history of policy, policy violations, and remediations. Delegation: Congress can offload the burden of monitoring/enforcing/auditing to other policy-aware systems. When it comes to enforcement, a common question is why Congress would support both proactive and reactive enforcement. The implied question being, “Isn’t proactive always preferred?” The answer is that proactive is not always possible. Consider the simple policy “ensure all operating systems have the latest security patch.” As soon as Microsoft/Apple/RedHat releases a new security patch, the policy is immediately violated; the whole purpose of writing the policy is to enable Congress to identify the violation and take action to correct it. The tip of master includes monitoring and a mechanism for proactive enforcement. In the Kilo release of OpenStack we plan to have a form of reactive enforcement available as well. Congress was designed to solve the policy problem and work with any cloud service and any policy. It is currently capable of monitoring and proactive enforcement. Reactive enforcement and delegation are currently underway. Congress is not yet incubated in OpenStack, but has contributions from half a dozen organizations and nearly two dozen people. Please feel free to join our weekly IRC meeting, check out the wiki, and download and install the code. In the first two parts of this blog series we discussed the problem of policy in the data center and the features that differentiate solutions to that problem. In this post, we give a high-level overview of several policy efforts within OpenStack. Remember that a policy is a description of how (some part of) the data center ought to behave, a service is any component in the data center that has an API, and a policy system is designed to manage some combination of past, present, and future policy violations (auditing, monitoring, and enforcement, respectively). Policy language: how expressive is the language, is the language restricted to certain domains, what features (e.g. exceptions) does it support? Policy sources: what are the sources of policy, how do different sources of policy interact, how are conflicts dealt with? Services: which other data center services can be leveraged and how? Actions: what does the system do once it is given a policy: monitor (identify violations), enforce (prevent or correct violations), audit (analyze past violations)? The one thing you’ll notice is that there are many different policy efforts within OpenStack. Perhaps surprisingly there is actually little redundancy because each effort addresses a different part of the overall policy problem: enabling users to describe their desires in a way that an OpenStack cloud can act on them. Additionally, as we will point out again later in the post, domain independent and domain specific policy efforts are highly complementary. We begin with Congress, our own policy effort within OpenStack. Congress is a system purpose-built for managing policy in the data center. A Congress policy describes the desired behavior of the data center by dictating how all the services running in that data center are supposed to behave both individually and in tandem. In the current release Congress accepts a single policy for the entire data center, the idea being that the cloud administrators are jointly responsible for writing and maintaining that policy. A Congress policy is domain independent and can describe the behavior of any collection of data center services. The cloud administrator can write a policy about networking, a policy about compute, or a policy that about networking, compute, storage, antivirus, organizational charts, inventory management systems, ActiveDirectory, and so on. The recent alpha release of Congress supports monitoring violations in policy: comparing how the data center is actually behaving to how policy says the data center ought to behave and flagging mismatches. In the future, Congress will also support enforcement by having Congress itself execute API calls to change the behavior of the data center and/or pushing policy to other policy-aware services better positioned to enforce policy. Neutron Group-Based Policy (GBP), which is similar to the policy effort in OpenDaylight, utilizes policy to manage networking. A policy describes how the network packets in the data center are supposed to behave. Each policy (“contract” in GBP terminology) describes which actions (such as allow, drop, reroute, or apply QoS) should be applied to which network packets based on packet header properties like port and protocol. Entities on the network (called “endpoints”) are grouped and each group is assigned one or more policies. Groups are maintained outside the policy language by people or automated systems. In GBP, policies can come from any number of people or agents. Conflicts can arise within a single policy or across several policies and are eliminated by a mechanism built into GBP (which is out of scope for this blog post). The goal of GBP is to enforce policy directly. (Both monitoring and auditing are challenging in the networking domain because there are so many packets moving so quickly throughout the data center.) To do enforcement, GBP compiles policies down into existing Neutron primitives and creates logical networks, switches, and routers. When new policy statements are inserted, GBP does an incremental compilation: changing the Neutron primitives in such a way as to implement the new policy while minimally disrupting existing primitives. Swift is OpenStack’s object storage service. As of version 2.0, released July 2014, Swift supports storage policies. Each storage policy is attached to a virtual storage system, which is where Swift stores objects. Each policy assigns values to a number of built-in features of a storage system. At the time of writing, each policy dictates how many partitions the storage system has, how many replicas of each object it should maintain, and the minimum amount of time before a partition can be moved to a different physical location since the last time it was moved. A user can create any number of virtual storage systems—and so can write any number of policies—but there are no conflicts between policies. If we put an object into a container with 2 replicas and the same object into another container with 3 replicas, it just means we are storing that object in two different virtual storage systems, which all told means we have 5 replicas. Policy is enforced directly by Swift. Every time an object is written, Swift ensures the right number of replicas are created. Swift ensures not to move a partition before policy allows that partition to be moved. The Smart Scheduler/SolverScheduler effort aims to provides an interface for using different constraint solvers to solve optimization problems for other projects, Nova in particular. 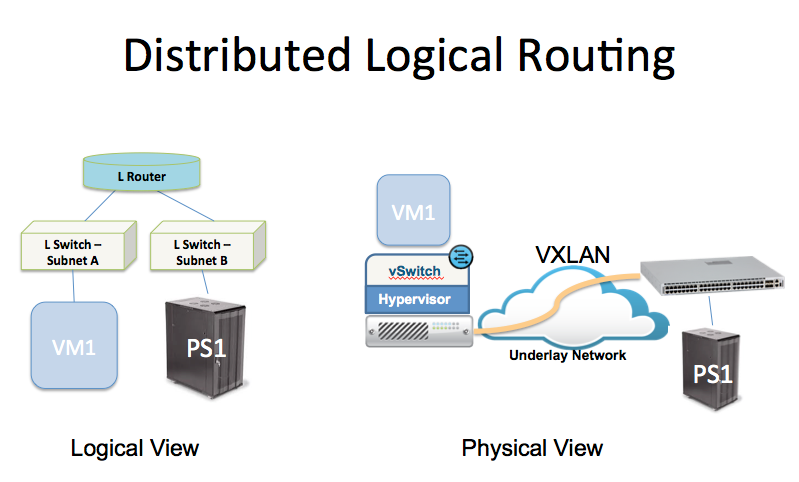 One specific use case is for Network Functions Virtualization (see here and here) For example, Nova might ask where to place a new virtual machine to minimize the average number of VMs on each server. This effort utilizes domain-independent solvers (such as linear programming/arithmetic solvers) but applies them to solve domain-specific problems. The intention is to focus on enforcement. The Nova policy-based scheduling module aims to schedule Nova resources per client, per cluster of resources, and per context (e.g. overload, time, etc.). 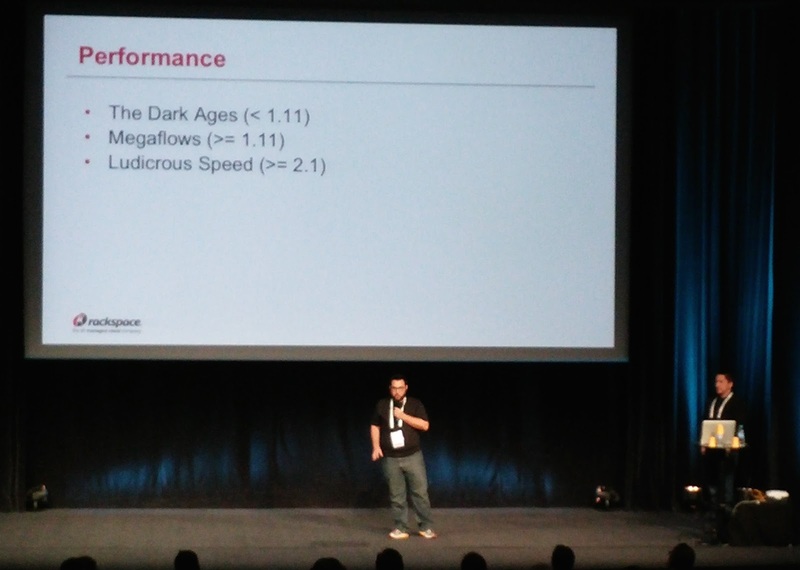 A proof of concept was presented at the Demo Theater at OpenStack Juno Summit. Gantt aims to provide scheduling as a service for other OpenStack components (see here and here). Previously, it was a subgroup of Nova and focused on scheduling virtual machines based on resource utilization. It includes plugin framework for making arbitrary metrics available to the scheduler. The Heat Convergence engine represents a shift toward a model for Heat where applications are deployed and managed by comparing the current state of the application to the desired state of the application and taking action to reduce the differences. Each desired state amounts to a policy describing a single application. Those policies do not interact, logically, and can draw upon any service in the data center. Heat policies are concerned mainly with corrective enforcement, though monitoring is also useful (“how far along is my application’s deployment?”). The key takeaway is that OpenStack has a growing ecosystem of policy-aware services. Most of them are domain-specific, meaning they are systems tailored to enforcing a particular kind of policy for a particular service, but a few are domain-independent, meaning that they will work for any kind of policy. As we mentioned earlier, domain-independent and domain-specific policy systems are highly complementary. The strength of a domain-specific policy system is enforcing policies within its domain, but its weakness is that policies outside the domain are not expressible in the language. The strength of a domain-independent policy system is expressing policies for any and every domain, but its weakness is that monitoring/enforcing/auditing those policies can be challenging. For policy to live up to its expectations, we need a rich ecosystem of policy-aware services that interoperate with one another. Networking policies should be handled by Neutron; compute policies should be handled by Nova; storage policies should be handled by Swift and Cinder; application policies should be handled by Heat; cross-cutting policies should be handled by a combination of Congress, Gantt, and SolverScheduler. We believe it will be incredibly valuable to give users a single touch point to understand how all the policies throughout the data center interact and interoperate—to provide a dashboard where users ask questions about the current state of the data center, investigate the impact of proposed changes, enact and automate enforcement decisions, and audit the data center’s policy from the past. To help coordinate the interaction and development of policy-aware services and policy-related efforts in OpenStack, the OpenStack Mid-Cycle Policy Summit intends to bring representatives from many different policy-minded companies and projects together. The aim of the summit is to discuss the current state of policy within OpenStack and begin discussing the roadmap for how policy will evolve in the future. The summit will start with some presentations by (and about) the various policy-related efforts and their approach to policy; it will wrap up with a workshop focused on how the different efforts might interoperate both today and in the future. Following this summit, which takes place September 18–19, 2014, we’ll post another blog entry describing the experience and lessons learned. Earlier this year, VMware, Microsoft, Red Hat and Intel published an IETF draft on Generic Network Virtualization Encapsulation (Geneve). This draft (first published on Valentine’s Day no less) includes authors from the each of the first generation encapsulation protocols — VXLAN, NVGRE, and STT. 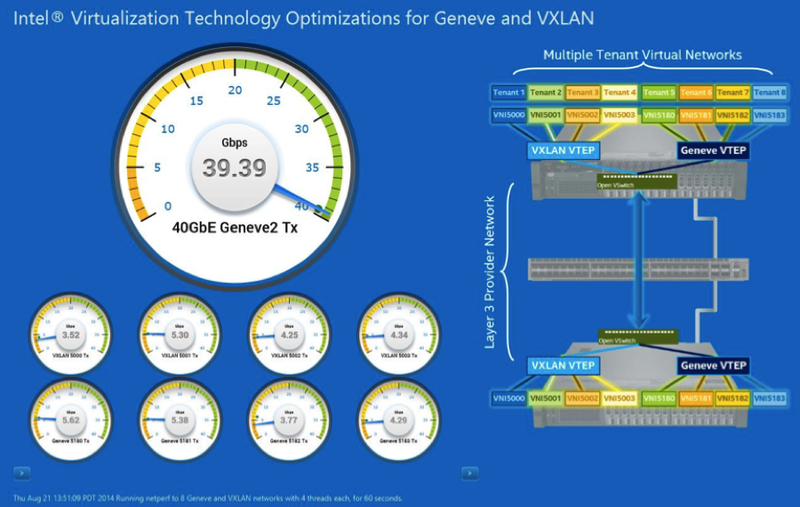 However, beyond the obvious appeal of unification across hypervisor platforms, the salient feature of Geneve is that it was designed from the ground up to be flexible. Nobody wants an endless cycle of new encapsulation formats as network virtualization designs and controllers mature, certainly not the vendors that have to support the ever growing list of acronyms and RFCs. Of course press releases, standards bodies and predictions about the future mean little without actual implementations, which is why it is important to consider the “ecosystem” from the beginning of the process. This includes software and silicon implementations in both commercial and open source varieties. This always takes time but since Geneve was designed to accommodate a wide variety of use cases it has seen a relatively quick uptake. 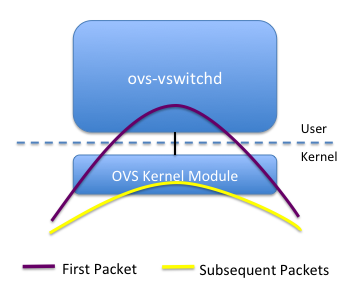 Unsurprisingly, the first implementations that landed were open source software — including switches such as Open vSwitch and networking troubleshooting tools like Wireshark. Today the first hardware implementation has arrived, in the form of the 40 Gbps Intel XL710 NIC, previously known as Fortville. Demo of Geneve hardware acceleration at Intel Developer Forum. Why is hardware support important? Performance. Everyone likes flexibility, of course, but most of the time that comes with a cost. In the case of a NIC, hardware acceleration enables us to have our cake and eat it too by offloading expensive operations while retaining software control in the CPU. These NICs add encapsulation awareness for classic operations like checksum and TCP segmentation offload to bring Geneve tunnels to performance parity with traditional traffic. For good measure, they also add in support for a few additional Geneve-specific features as well. Of course, this is just the beginning — it is still only six months after publication of the Geneve specification and much more is still to come. Expect to see further announcements coming soon for both NIC and switch silicon and of course new software to take advantage of the advanced capabilities. Until then, a discussion session as well as a live demo will be at Intel Developer Forum this week to provide a first glimpse of Geneve in action.